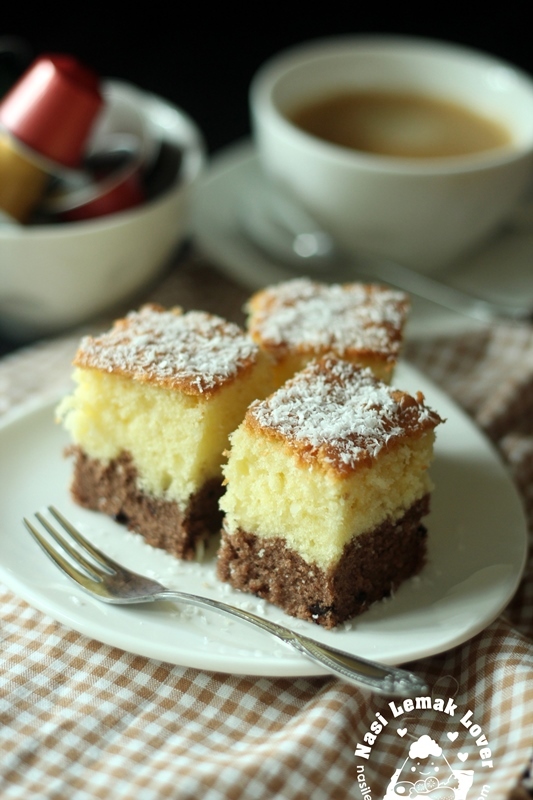 This is a cake that i tried to replicate after tasted the similar one during my recent trip to Frankfurt Germany. I have been delaying to post this classic Hokkien Bak Chang since last year. 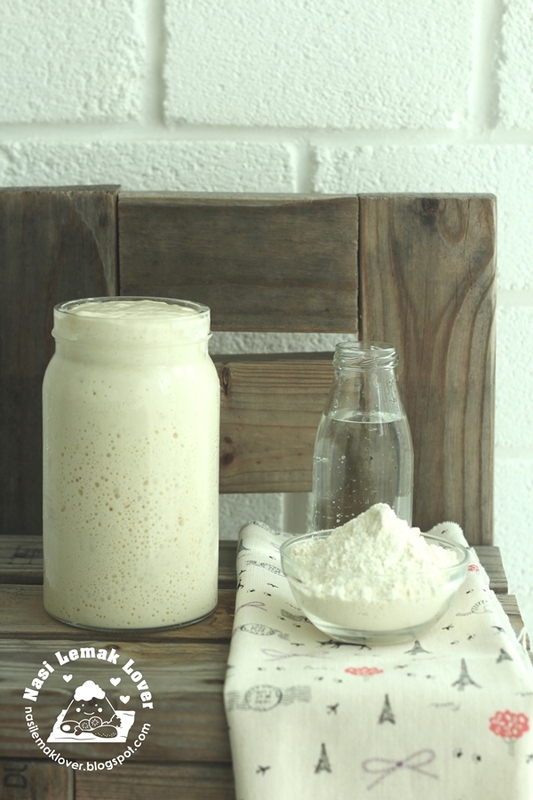 I keep delaying due to this post is too lengthy which has too many pictures and long recipe. As I don't want to just put up a simple recipe but to share a detail step-by-step recipe with photos which later can benefit to my younger family members and also for you who wish to learn the skill of how to wrap the dumpling ^_^. 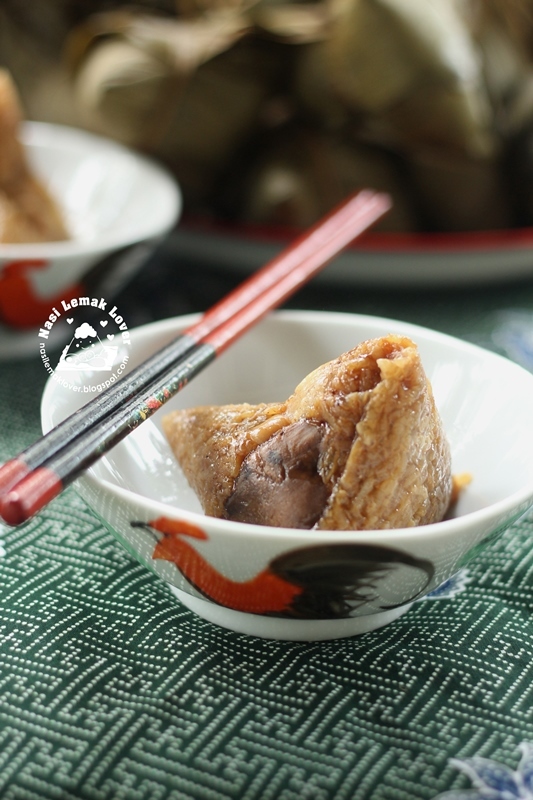 Hokkien Bak Chang is difference from other dialect's rice dumpling, where Hokkien Bak Chang requires 3 main criteria, Colour 色 - the glutinous rice got to be looked dark. Aroma 香 - big amount of shallots, Hae Bi (dried shrimps) and Chinese five spices powder are added as to give the distinct aroma . 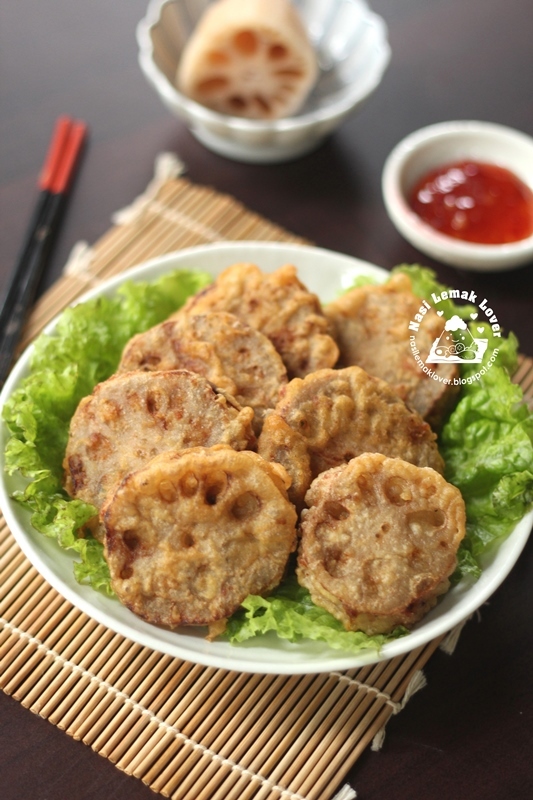 Taste 味 - every ingredients must be pre-cooked and well seasonings, to bring out the great flavour of the dumpling. We have a family gathering at our hometown on last Sunday. My sister requested my mother to teach her on how to make Kee Chang (Hokkien) or Gan Sui Chong (Cantonese) or alkaline water rice dumplings. 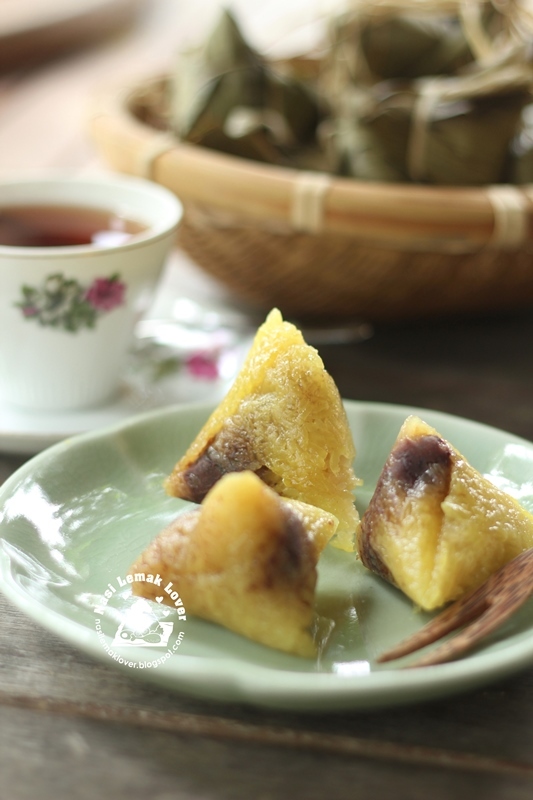 A very basic rice dumplings served during Chinese rice dumpling festival. 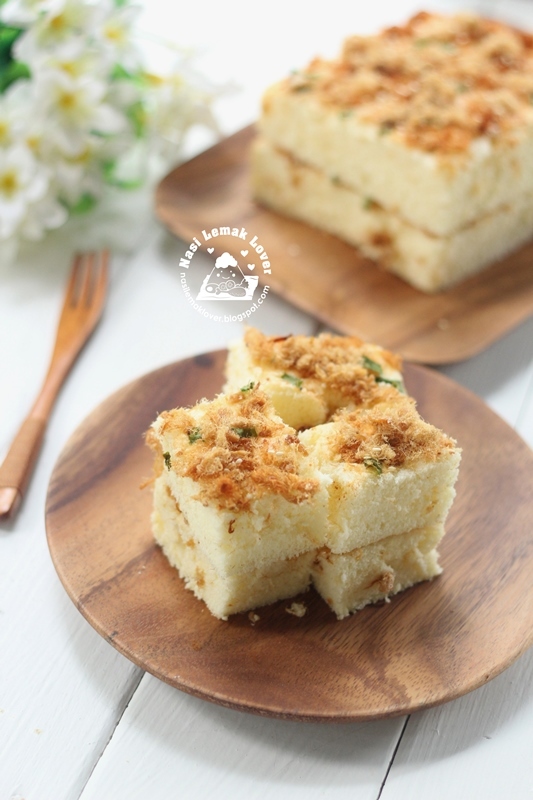 And our favourite way to enjoy is to dip it with kaya (coconut jam) ^_^. So i also take this opportunity to learn from my mother and also learn how to wrap from my elder sister who given clear instruction on how to wrap. I always feel bad when i need to throw away lotus roots after we enjoyed the lotus root soup, as kids didn't like it. So I like this idea of using it to deep fry, we have to eat them all. When you have banana, sure must bake some banana related cakes ^_^. Usually i will get good banana from an uncle at the pasar besar (wet market) who has banana that not using chemical to ripen it faster. Look at the one Nian Gao or Chinese sticky rice (you can check my mother recipe here ) that my mother made during last CNY still sitting in the fridge. I have to quickly made something with it before it get spoil. 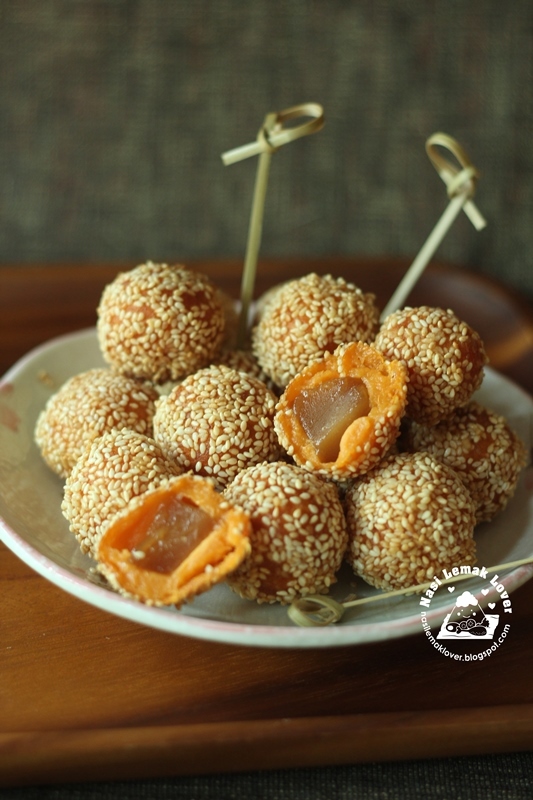 I decided to wrap it with sweet potato and made into sesame balls, as i remember a similar version that my friend May made for us during a gathering. I can't remember how long i did not bake some Hokkaido cupcakes. 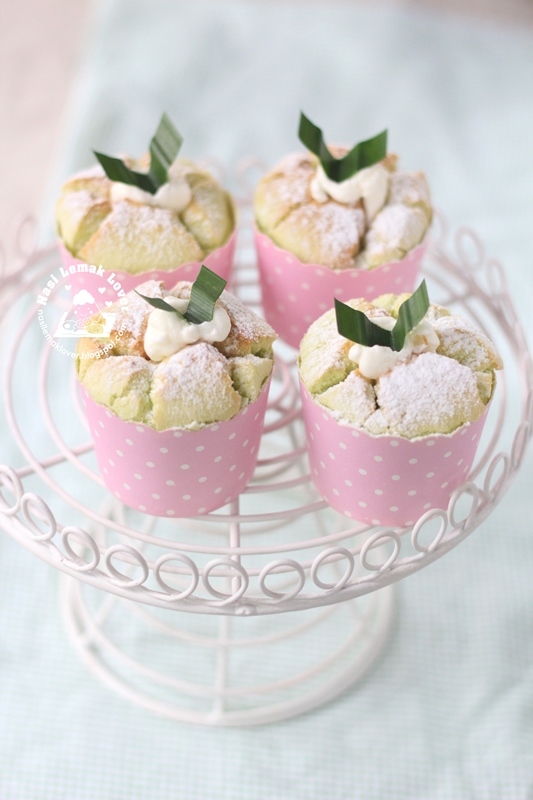 Since i have some homemade concentrated pandan paste, so I use it to make few Pandan Hokkaido cupcakes. The cake was light, natural fragrance, love the pale green colour, and well matching with Chantilly cream. 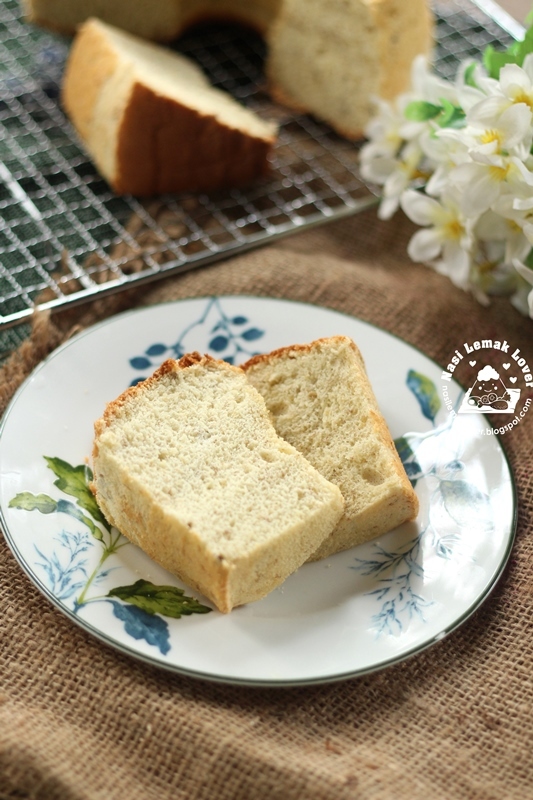 I seldom decorate a chiffon cake with cream. The other day my sister invited us for dinner. 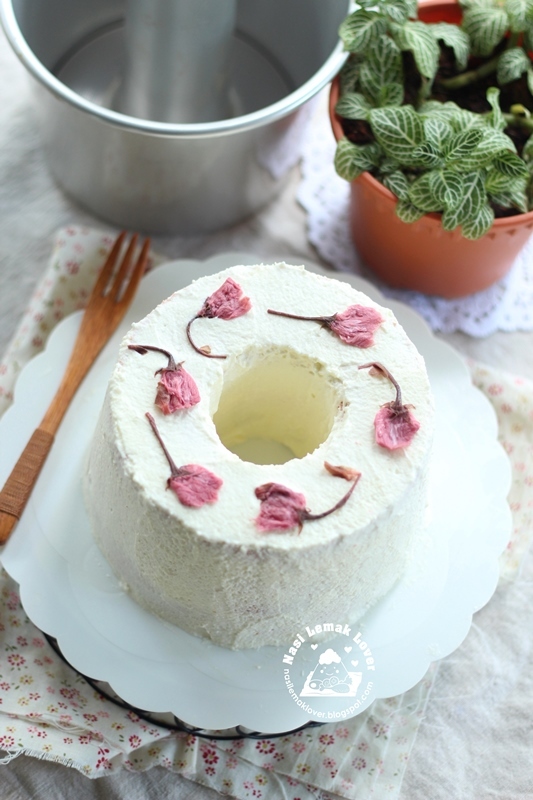 So i took this opportunity to bake this Sakura chiffon cake and did little decoration on the cake. I didn't expect this cake tasted so nice as I was worry the pickled sakura which tasted like salted sour plum will taste odd. Since i only bake a small cake, all wanted a second serving also no chance, have to bake again next time ^_^. 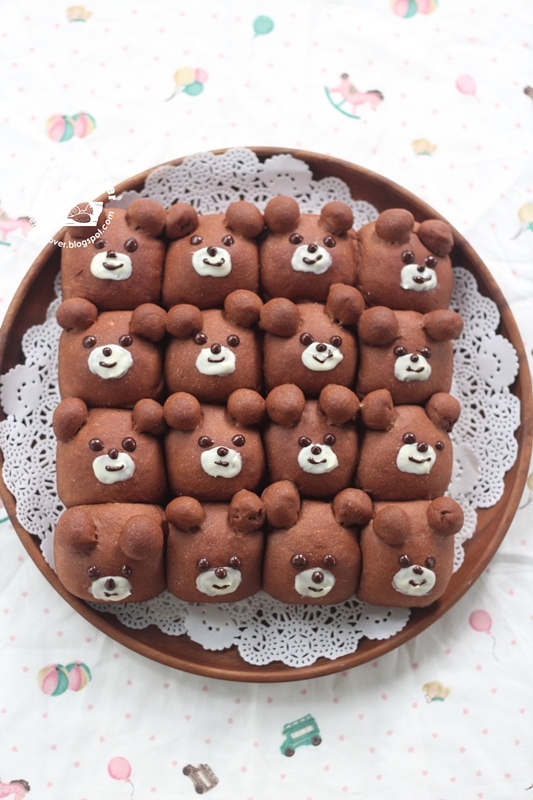 Earlier i saw this type of cute cartoon character bread buns shared in few Japanese Instagram. It inspired me to make some, and now i am addicted to it ^_^. There is so much of fun looking at them and a bit heartache to enjoy them, LOL.